An interesting question was asked recently on a hiking facebook group about how to hike faster. Actually, it wasn’t really an interesting question, but the replies were. They revealed a divide. On one side were those who hike because they enjoy getting close to nature, taking time to absorb and appreciate the scenery – wrapping Mother Nature’s blanket cosily around their shoulders. On the other side of the divide were the walkers who viewed the countryside as an open-air gymnasium, trying to complete routes as fast as possible and seeking out the most demanding and challenging paths to push themselves to their limits. We’re in no rush – stopping to enjoy, and photograph, the view. We are firmly in the former category. We class ourselves as specialising in Slow Travel. That doesn’t mean we chug along at the pace of a tortoise, it means we want to take the time to bask in our surroundings. When we’re being seduced by the countryside we want routes to last as long as possible… until the sun brings the curtain down on a glorious day on the trail. It doesn’t mean we don’t relish challenges, we do. There’s great satisfaction to be had in pushing ourselves and feeling the body respond accordingly. But for us it’s just not the most important aspect of taking to the hills. 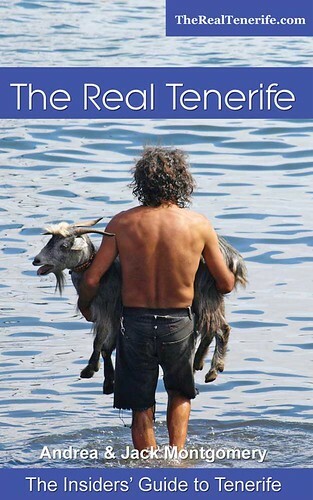 Subsequently the Tenerife walking routes we enjoy most are akin to a favourite recipe, with various essential ingredients combining to create something quite delicious. If a route doesn’t have these, we won’t include them in our walking guides. A view which reveals itself at the last moment. Great walks must have at least one vista which stops you in your tracks; a scene which forces you to pause for a while to digest its gorgeousness. I’ve been on walks with people who plough on, heads down, missing the world around them. I don’t get their style of walking at all. We lose lots of time being hypnotised by views. The ones with greatest impact are those which fill the screen without warning; you reach the crest of a hill and ‘BAM’ – there it is. I can think of a few on Tenerife. 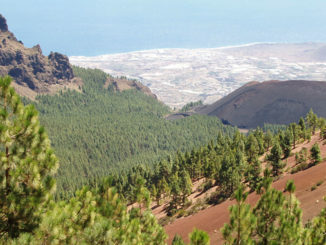 Climbing Montaña Guajara is a good example, where Mount Teide and the volcanic expanse of the National Park remain out of view until you arrive at Guajara’s summit. Not the norm, pools on Tenerife. Routes should have a unique quality, something which sets them apart from other trails otherwise walking could be the equivalent of Groundhog Day. If a route on Tenerife doesn’t have anything which makes it different from other paths we don’t include it. I can think specifically of one above Agua Garcia which fell into that category. It was enjoyable, but there was nothing memorable about it. ‘Something different’ can include all sorts. 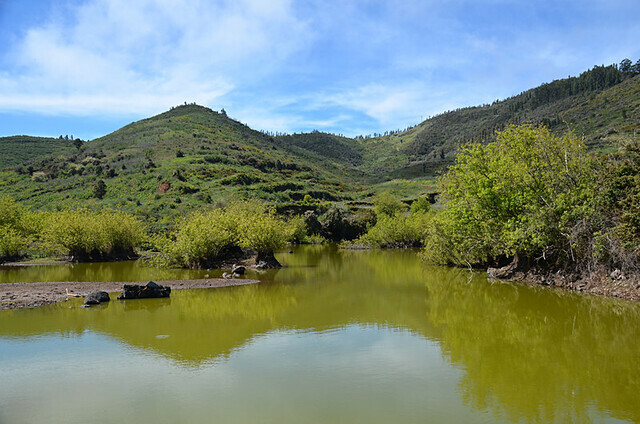 One example is the Erjos Pools in Teno; are a rarity on Tenerife. The pools give the valley they lie in a feature you won’t find in other valleys on the island. 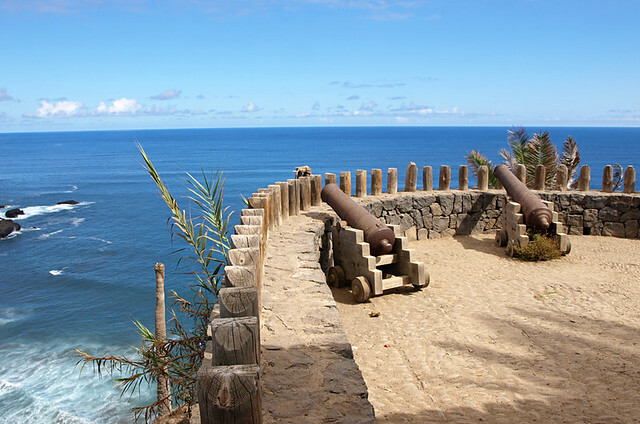 Now a viewpoint, once a place to repel pirates on the north coast of Tenerife. We might be in danger of screwing up the planet. But on a small scale, human interaction with nature can be as symbiotic as that of any other animal. When we walk somewhere new it’s often humankind’s relationship with the land which provides insight into the life, current and past, of the area. On Tenerife that might be an abandoned era (threshing circle), old communal washing basins, a shrine beside a fountain, or a row of brightly coloured beehives in the middle of nowhere. Things like these prompt us to find out more and in doing so we learn about local interaction with nature. 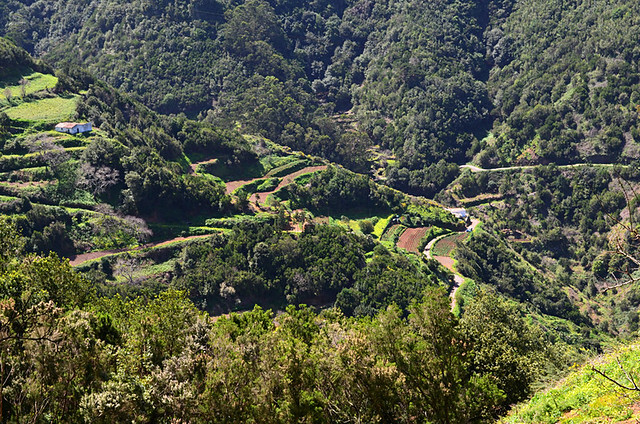 Wild woods and narrow terraces, the changing faces of Anaga. 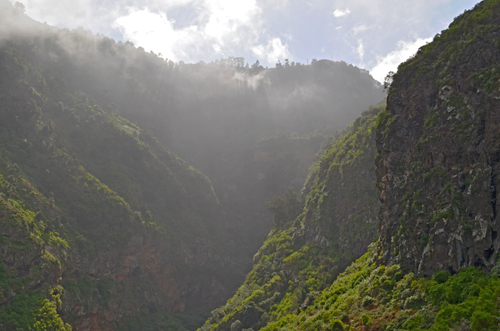 The Garajonay Forest on La Gomera is quite rightly a UNESCO World Heritage Site, but routes there which are only through the forest can end up being samey and not particularly interesting. Regular changes of terrain keep the interest perked. 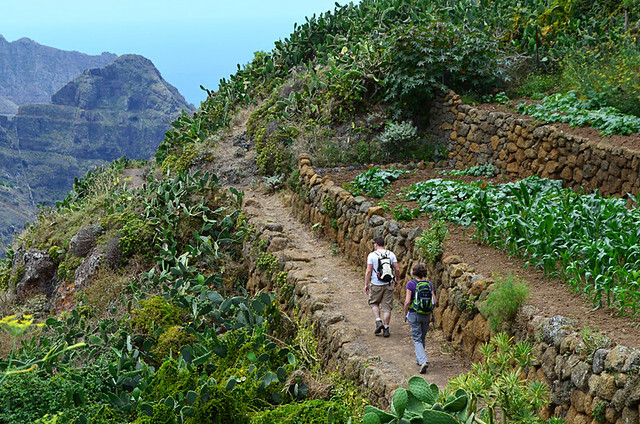 Tenerife offers the most diverse walking of all the Canary Islands in our view. 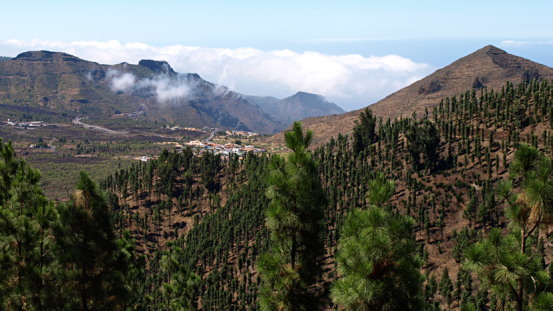 In Anaga, for example, you can start walking in misty ancient laurel forest, emerge into farmlands with narrow terraces cut into the hillsides, pass tiny hamlets, hunting zones and prickly pear thickets before descending to the coast via arid mountain paths. 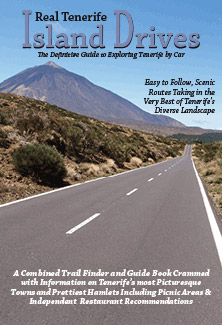 Routes on Tenerife are generally well maintained. There’s no hacking away at overgrown paths… or there shouldn’t be. 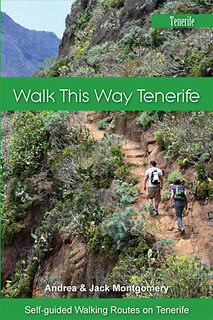 In our early days of exploring Tenerife on foot we followed a few of the free directions some municipalities hand out. One got us completely lost in the Anagas. On another the path dropped abruptly into an abyss. It’s happened on other Canary Islands as well. Paths which were shown as existing on maps simply didn’t exist. On one occasion a path ended in an impassable cane thicket on Fuerteventura. 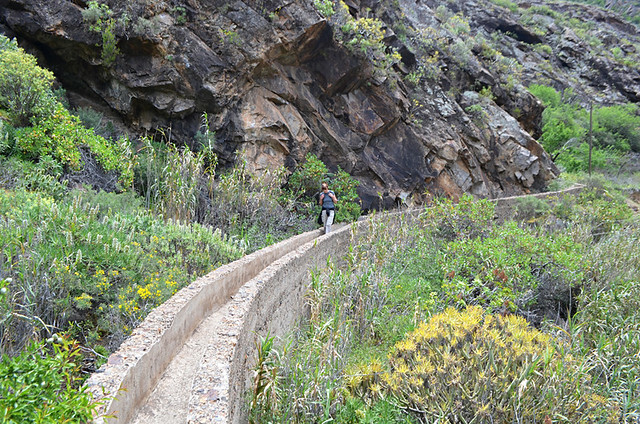 On Gran Canaria we ended up using an old water channel to escape a completely overgrown barranco which was supposed to have a path through it. I know walking guides who go ‘off path’. That’s fine when you have a knowledgeable guide to lead the way. But for self-guided walking the most enjoyable routes are on defined paths. 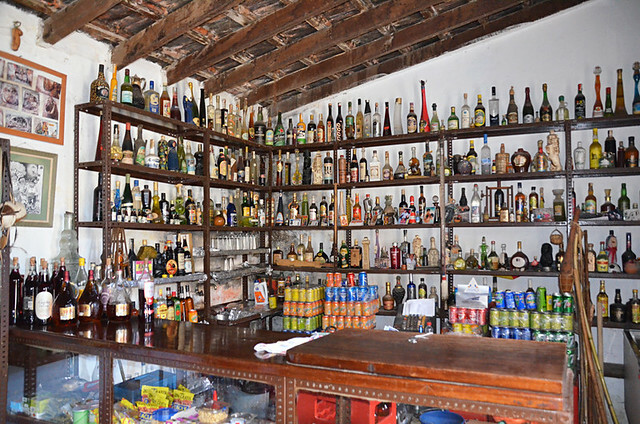 The quirky and well stocked bar in Afur. It’s not a deal-breaker, but it is icing on the cake when a memorable walk ends somewhere near a bar. Most of the routes we have in our walking guides include somewhere to unlace the boots and down a Dorado. Many are quirky, interesting establishments which add an extra splash of local colour to the package. Anyone who’s toasted the completion of a route in the hamlet of Afur in Anaga will know exactly what I’m talking about. To us, if a walking route is only about distance and the challenge involved rather than a mix of ingredients which give it a uniquely local flavour, then it might as well be anywhere and would be the hiking equivalent of an all inclusive hotel. 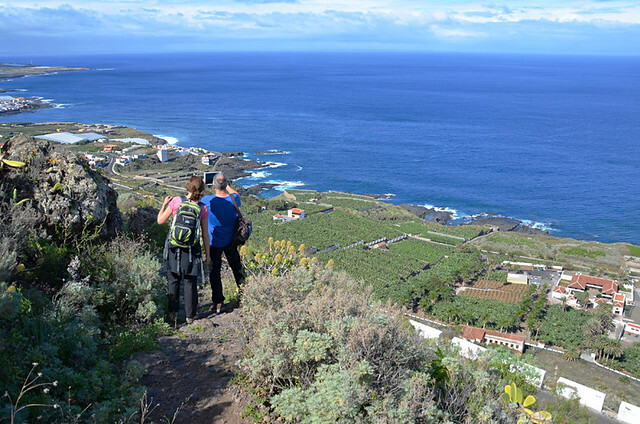 There’s a great diversity of walking on Tenerife Ronny with quite a few coastal walks which are a lot more interesting, and rural, than La Caleta/Los Cristianos. 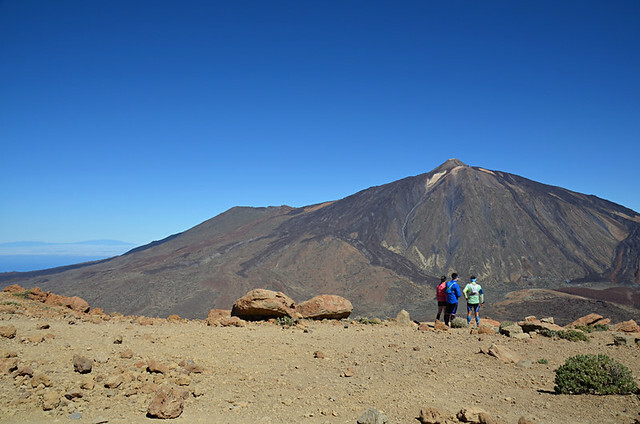 There are flat routes in Teide National Park and in some of the most popular walking areas. There are even a couple of special routes for people with mobility issues (Teide/Agua Garcia/Cruz del Carmen).